To order any of the items below, call toll-free 1-877-876-8368 or use the Contact Us form to request more information from Vent-A-Fume. 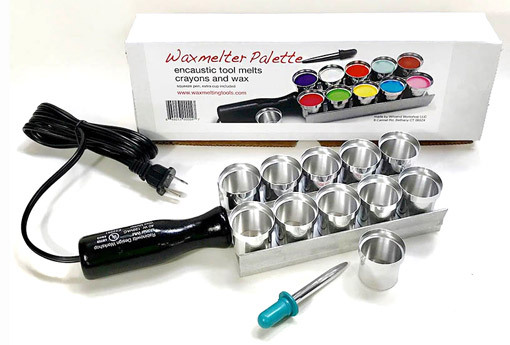 The ideal kit for encaustic medium painting, Waxmelter Palette is an electrically-heated aluminum palette that melts encaustic paint, crayons, paraffin, beeswax, or soy wax. It features 10 cups (plus a spare) that heats the substance to its proper temperature and maintains even heat as long as the unit is plugged in. No temperature regulator is needed. Designed for encaustic, batik, pysanki egg painting, wax-resist painting, and candle decoration. Includes one (1) Squeeze Pen® with directions for use. 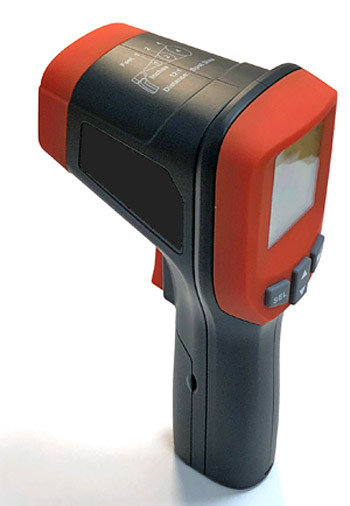 This infrared (IR) thermometer features precise laser targeting so you can measure exact surface temperatures when using your Roland HOTbox or an appliance used as a palette for encaustic medium painting/artwork. Compact, rugged, and easy to operate, it is an excellent quality control and safety device. Designed for professional, residential, commercial, and industrial use. Features a backlit display with excellent readability. Switchable between Celsius and Fahrenheit. Complies with 21 CFR 1040.10 and 1040.11. Warning: Laser Radiation. Avoid Direct Eye Exposure. 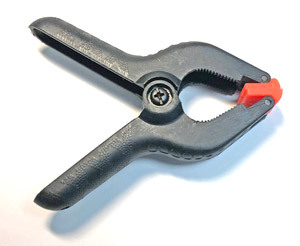 These high-quality, low-cost clamps attach to the clamp rail of the Roland HOTbox to hold the surface material in place for encaustic monotypes. Also ideal for use with any other surface while performing encaustic medium artwork. Features swivel pads at the ends to adjust to irregular shapes without marring the surface. Powerful spring with 21 lbs. clamping capacity. Easy to grip and non-conductive. Two (2) per HOTbox recommended.